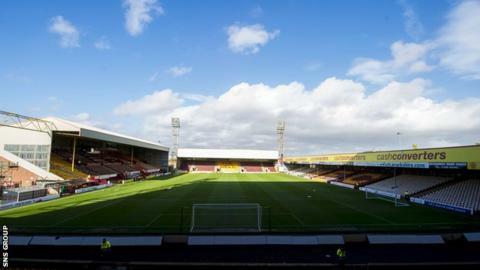 Les Hutchison has officially taken over at Motherwell, with his backing paving the way for community-ownership within five years. John Boyle's majority shareholding has been transferred to the retired Lanarkshire-born businessman. He will provide an as-yet undetermined interest-free loan to the club. Repayment of that loan will then see his stake of more than 70% transferred to the Well Society, which has provided its own loan of £190,000. Well Society chairman Brian McCafferty will assume the same position within the Fir Park club. "I'm very pleased today that we have begun this new chapter of Motherwell Football Club's history," said Hutchison. "Hopefully we can change the agenda of the club. By my involvement it is now more of a philanthropic and community-based activity. "The objective and the agreement that is in place with the fans is that in five years or less we make the improvements that are needed at the club, that we move it into the position of being financially self-funded and then migrate the ownership to the Well Society. "During the time I am not taking any money out of the club and none of the directors are taking any money." Three new directors have been appointed - Ian Reid, Peter Kellie and Leanne Thomas, who is Hutchison's daughter. They will join McCafferty, Derek Weir and Jim McMahon on the board. Andrew Wilson, Stewart Robertson and John Swinburne are stepping down.